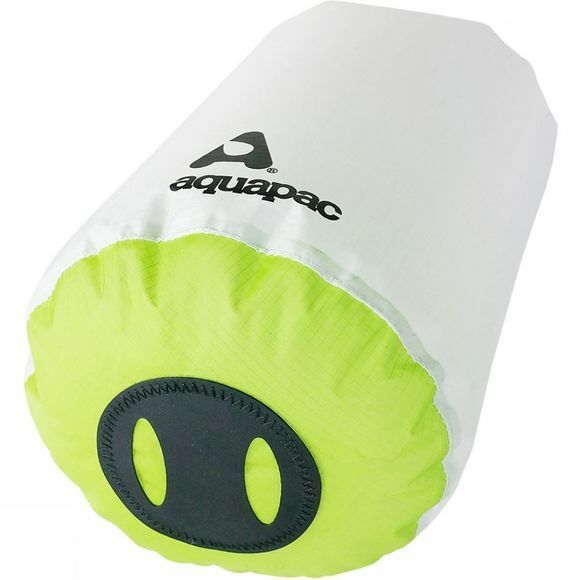 A lightweight and simple roll-top closure waterproof storage bag, the Aquapac PackDivider Drybag 8L is perfect for organising and waterproofing all those essentials in your bag. The 75-denier nylon material is PU-coated inside and silicone-coated outside to keep out water. It is also translucent material so you can see what's inside. The bright coloured end makes it easier to find amongst other bags.